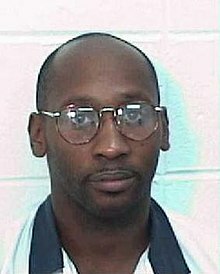 Troy Davis is dead and I must confess that while he was alive I participated in no protests concerning his execution date, I did not write one letter to any politician in the state of Georgia or anywhere else, and to be honest I barely stayed informed about his plight. I hate to say it’s because I have given up on justice but the truth is that I believe I have. I put everything that I could into making sure that the police officer that killed Oscar Grant on January 1, 2009 was prosecuted to the fullest extent of the law. Johannes Mehserle killed Oscar Grant on a crowded BART platform, only to have his deplorable actions caught on a camera phone and shown on news stations around the country yet he still wound up serving about 9 months in jail. At the time of the verdict certain journalists and legal experts were claiming that we should be happy that the police officer was convicted at all. And that a police officer going to jail for such a thing as murder was unprecedented and therefore justice was served. Unlike with the recent Troy Davis execution, during the Oscar Grant situation I did attend several protests. I did write a few articles that were published; I did engage in passionate debates, I went to town hall meetings, and I did stay informed about the trial up to the minute, but in the end there was nothing. I still haven’t recovered from the spiritual blow that was delivered by that injustice. I did not put my faith and energy into seeing that Troy Davis got a retrial because I cannot give what I don’t have. When the officers who beat down Rodney King were acquitted we burned things, when Mark Duggan was killed we burned things, yes we riot, we fight, we are warriors, we have determination, we have heart, but we still do not have justice. One thing I have learned to do is to choose my battles carefully. Troy Davis was put to death and that is a travesty, however, I can’t say that I feel let down. For as a black man I have come to expect this kind of thing to happen. This entry was posted in Blogs and tagged America, Faith, Justice, Oscar Grant, Rodney King, Troy Davis. Bookmark the permalink. What you have written made me angry with you. At first. You did this well, I can see what you have in mind. Still it makes me angry. “For as a black man I have come to expect this kind of thing to happen.” WHAT ???? You are right, they are wrong, this is awful. Even if I live in Sweden it affected me, and I wrote the poem “The Bird of Sorrow” for Troy Davis. Thank you so much for reading my blog. I realize that the position that I have taken on this matter is not positive at all but I have to be real about how I feel. Thank you again for reading. I understand your feelings. But complacency isn’t the answer. This case has woken up many people who paid attention to it. If they’ll execute a black man with absolutely no evidence to prove his guilt then what will they do to a white man? Or a Hispanic or Asian man? There is a lot of social tension now and all it will take is a little push to bring it all down. It could happen tomorrow or it could happen next year. But it will happen. Very interesting. You know I also believe that complacency is not the answer, however, I must add that I never pretended to be the person with the answers. I am not a politician, I am an artist which means that I am obligated to tell the truth. I never asked anyone to follow me on this matter and to be frank with you most of my friends disagree with my nonaction concerning Troy Davis. One thing you can be sure of though is that my blog represents the absolute truth as I see it. I feel drained right now and that’s just how it is. Also I am a little bit concerned by the fact that you seem to have digested the idea of a racial hierarchy. “If they’ll execute a black man with absolutely no evidence to prove his guilt then what will they do to a white man? Or a Hispanic or Asian man?” This strikes me as being problematic because I believe people should be outraged by this case for the sheer slaughter of humanity as opposed to going by the rationale “Damn if they did it to those lowly people then what will they do to me.” It seems just a tad bit selfish and it rubs me the wrong way. At any rate, thank you for reading my blog. PS I think that the word that we want to use is apathy and not complacency. Yeah, I can tell you didn’t pay attention to the case. Race was a deciding factor in the punishment. A southern white police officer was murdered and a black man was the suspect. So far something like 12 white people have been sentenced to death for killing black people while over 150 black people have been sentenced to death for killing white people. Would you deny that race influenced the sentencing? Probably not. Wow. I’m not sure you’re getting my point. I never said that the case had nothing to do with race. And on top of that I think it is so ironic that you are trying to “inform” me–of all people–about racism against black men. I won’t take this much further but I will say that it is quite obvious that you don’t know me. I knew about Troy Davis’ case for a long time before he was actually executed and I refused to commit to do anything because I didn’t want to get emotionally attached (didn’t matter because I cried like all hell after he was executed and I’m still somewhat avoiding reading and discussing his case, the death penalty, racism in the “justice” system, etc). But I was trying to explain this in the comment section of another blog – that what looks like apathy or false activism is actually something deeper, but folks haven’t aren’t always able to articulate. This post is very clear! Thank you.